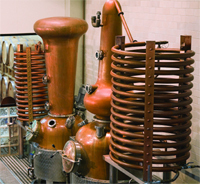 Over the past decade, each winter is more exciting than the last as we head into spring and count down to the upcoming Whiskies of the World Expo in San Francisco at the end of March. It’s a busy time for us with all the wonderful exhibitors, entertainment and education features we’re scheduling for the entire week of Whiskies of the World. We’re only gratified fully when we see how much you’re enjoying yourselves and your drams during the Grand Tasting night! 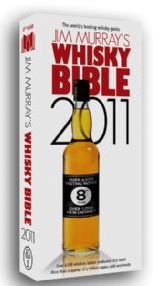 Contest: Don’t have Jim Murray’s Whisky Bible on your bookshelf? You can buy one on our website or win it in our contest: send us a 25-word narrative on “What’s the best thing about Whisky for you?” Send to contest@whiskiesoftheworld.com. Three lucky winners will score copies of Jim Murray's Whisky Bible. It’s time to put on your yachting cap and start planning your 5-hour cruise along amber-colored waters. Just about all our exhibitors and features are listed on the web site which will help you navigate freely in an ocean of 200+ whisky expressions presented at the Grand Tasting on Expo day. Visit our shop online now and get tickets for yourself, your friends and your colleagues before we sell out!!!! Let’s start with the exemplary Laphroaig, considered one of the most strongly flavored of all scotch whiskies. They say Ileachs take their time making friends but when they do it’s for life; the statement is well related to both the process of acquiring the palate for this pungent whisky (gradual), and renouncing it (impossible). Produced in perhaps the most famous distillery on Islay, Laphroaig has a huge following not only among Friends of Laphroaig (their official club), but also in echelons as high as the Royal Family - Laphroaig is known to be Prince Charles's favorite whisky. At the Expo get acquainted with a range of Laphroaig from the rich, earthly 10 Year Old to the smooth and delicate older expressions. Feel the uniqueness and mark the nuances of Laphroaig. 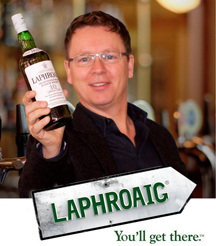 For a more personal experience with the whisky, attend Simon Brooking’s Masterclass where you’ll have a wonderful opportunity to nose, sample, and compare Laphroaig aged in different casks: bourbon and sherry, and with actual sherry. Hurry and sign up for the seminar to test your senses as a Noser! Over its successful run, the Expo continues to develop quite a following on both attendee and exhibitor fronts. This year again, we are delighted to present brands by Beam Global, diverse in their origins and tastes but invariable in their goodness as recognized by prestigious international tasting competitions. You’ll be offered samples from their Small Batch Bourbon Collection of ultra-premium, limited edition bourbons made for the true connoisseur by the “perfect blending of art and science”. The lovers of smooth, light whisky will appreciate different expressions of Canadian Club from sherry cask to 30 YO special and help settle the debate of whether Canadian Club has the spicy sweetness of bourbon or the smoothness of scotch. Knowledgeable brand ambassadors will always be on hand to arbitrate. By popular demand, Beam Global also presents a Mixology booth providing a great chance to taste the familiar spirits “undercover”. Scotch lovers and independent bottler appreciators welcome the return of Mackillop’s Choice, a collection of malts from different regions, aged 12 and 38 years of age and bottled exclusively from single cask. We must tell you by secret that we love these “independents.” They allow us to taste expressions from the best known Scottish distilleries, often currently non-existent, and experience the artful selection, maturation and boutique bottling processes through the uniqueness of the final product. 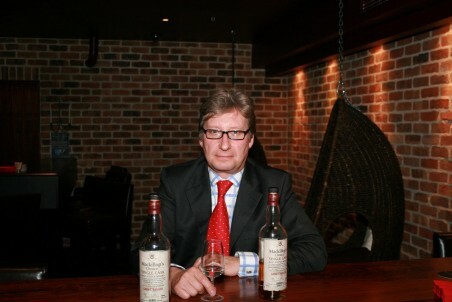 Lorne Mackillop, the man behind his eponymous whiskies, selects the casks himself and confesses that only 20% of casks are accepted to form “a whisky that gives very truly of itself.” When stopping at Lorne’s booth for a delectable dram “of his choice” make sure to ask him about how he makes his selections, about his first whisky, about his “boozy” career and his attitude to Scotch at the beginning of it. Be prepared for some unconventional answers. So many whiskies, so little time! 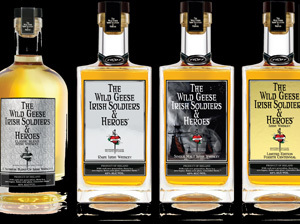 Join Wild Geese Irish Soldiers & Heroes for their super-premium collection of Irish Whiskeys, fairly new to the US market. Remember when Irish whiskey was just Irish whiskey? Nowadays the variation and quality are profound and one could spend an entire Expo night just exploring the gems of the Emerald Isle. Make time to stop by their booth and congratulate the producers of the 'Best Irish Whiskey' ( voted by WSWA, WWA, SIP) and listen to the story of The Wild Geese Irish Soldiers and Heroes. There are more marvelous whiskies at WoW 2012 than we can write about in this edition of our whisky love letter. Watch out for the next newsletter featuring announcements of brand new launches, exciting new editions, amazing additional features, whisky and food pairing booths, molecular cocktail demonstrations, presentation of the “scientific” tasting glass, live Bushmills Pipe and Drum concert and other nice surprises! We hope you enjoyed your St. Valentine dram with your honey. We look forward to seeing you in March and treating you with the Expo getaway you deserve! (850 Montgomery Street San Francisco, CA.) An establishment synonymous with fine dining, fine whisk(e)y, fine cigars, and not necessarily in that order. Owner/Chef Niel Rideout is an accomplished chef using fresh local ingredients. Guests will enjoy a delectable meal of several courses. The tasting will be guided by whisky experts as we will sample 6 highly rated world whiskies, including Canadian, bourbon, and scotch.